Let lashes and brows live up to their fullest potential. Are your lashes lackluster? Have your brows lost their wow? Lash & Brow Building Serum™ delivers results in just 30 days. 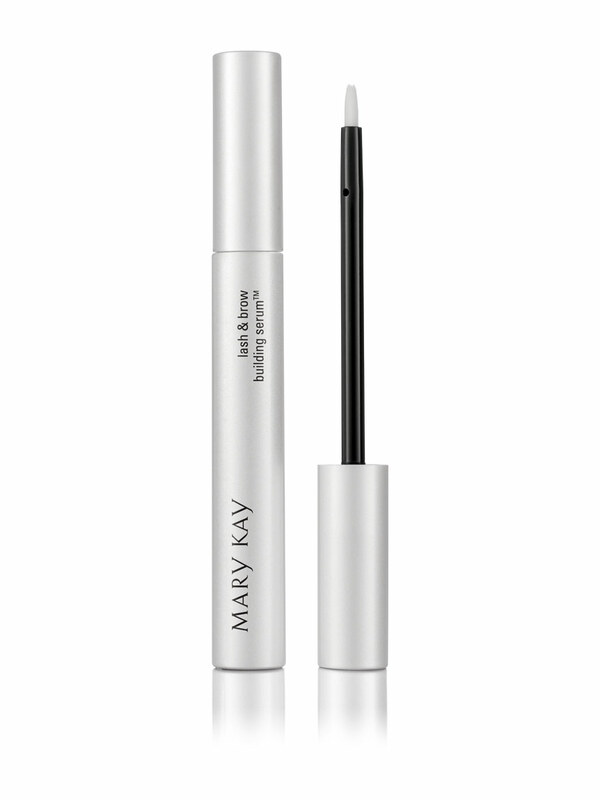 Turn lash envy into lashes that look fuller, look thicker and have more volume. Turn problem brows into the healthy, natural-looking brows you want. All it takes is just seconds a night — and in just 30 days, you’ll see the results that women everywhere are already talking about. 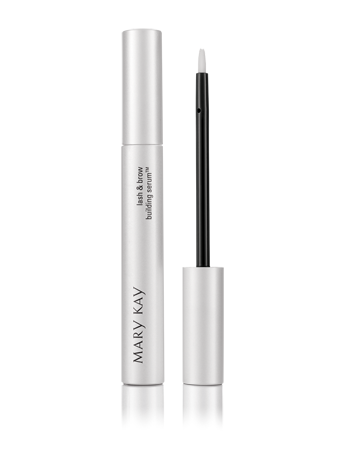 Lash & Brow Building Serum™ is formulated to help lashes and brows live up to their fullest potential. Lash volume is maximized. Brittle lashes appear rejuvenated and strengthened, so fewer lashes fall out during makeup removal. And brows look healthier. This gentle, fast-drying serum is powered by our Lash Response™ Complex, an essential nutrient boost of amino acids, a peptide and red clover extract that is shown to provide support to the dermal matrix* and nourishment to the hair follicle that “anchors” each hair in place. The appearance of thin, sparse lashes and brows is improved, and lashes seem stronger. Applied along the lashline at night, just like you would apply liquid eyeliner, it’s the once-a-day way to improve the appearance of bare lashes. And it works the same way on your brows – just apply it to sparse or bare areas, and wait for the magic to happen while you sleep. The lifecycle of lashes – and how to keep them strong. First, it’s important to understand that hair – wherever it is on the body – is structurally the same, even though it may vary in appearance, length or growth cycle. Amino acids – the building blocks of hair. In addition to other important roles, amino acids link together in thousands of combinations to create different proteins, in much the same way that different letters of the alphabet link together to create different words. In the case of hair, amino acids create a protein called keratin, and keratin is what makes up almost 90 percent of each hair strand. The hair follicle – where an eyelash is born. The follicle is where each strand of hair is produced, and it lies within the skin’s surface. As long as the follicle is strong, it will retain hair longer. While millions of follicles cover our body from head to toe, on average, a person has only 150 to 200 upper eyelash hairs. Hair’s growth cycle - the ultimate renewable resource. Hair grows in a cycle of three phases – anagen (the active growth phase), catagen (the transitional phase) and telogen (the resting phase) – and the length of each varies based on the type of hair it is. In general, eyelashes complete a full cycle in approximately 4 months, which is why they don’t grow as long as a strand of hair on your head, which typically has a growing cycle of 3 to 4 years. Another reason lashes don’t grow out of control is the length of each individual cycle – eyelashes have a short anagen phase and a long telogen phase, while the hair on your head is exactly the opposite. The good news is that in the absence of damaging factors caused by genetics or illness, each follicle has the potential to continue producing hair continuously if nourished properly, moving from one phase to the next before the cycle begins again. Amino acids and peptides – keeping hair healthy and strong. Just like our bodies need food to survive, amino acids provide nourishment that hair needs to stay healthy. In the absence of an adequate supply of amino acids, individual hair follicles will compete against each other for nutrients and the potential for hair growth will be impacted. Peptides, on the other hand, support hair in a different way. They impact the skin dermal matrix, which is composed of numerous proteins including collagen, fibronectin and laminin. This process of strengthening the matrix ultimately allows very specialized cells, called dermal papilla, to create new hair within the follicle and keep the cycle going. How is Lash & Brow Building Serum™ formulated to work? There are a number of factors than can shorten lash life – harsh makeup removers, frequent eye rubbing, aggressive eyelash curling and even the aging process itself. And your brows can fall victim to excessive tweezing or careless waxing. But now there’s Lash & Brow Building Serum™ to the rescue. Used at night, this gentle, safe, non-drug formula contains our revitalizing Lash Response™ Complex that contains amino acids, a peptide and red clover extract that help provide what lashes and brows need to stay healthy and strong. And you’ll be happy to know that the formula is ophthalmologist-tested, suitable for contact lens wearers and for people with sensitive eyes. It nourishes – amino acids help provide essential nutrition. Since amino acids create keratin, a protein that makes up the majority of each hair strand, it makes sense that having even more amino acids would be beneficial. The Lash Response™ Complex adds amino acids to the skin to provide nourishment. It strengthens* – tetrapeptide-3 helps strengthen the skin dermal matrix. * This peptide is considered “biomimetic” because although it was discovered in a laboratory, it “acts” like a protein produced in the skin, similar to how an artificial sweetener can taste like sugar but isn’t. When tested in vitro, this peptide promotes the production of collagen, fibronectin and laminin – key components in skin that are responsible for supporting specialized cells critical to the lifecycle of hair. When properly supported, these cells – called dermal papilla – help increase activity in the hair follicle, creating an environment that is essential to hair renewal. Without a strong skin dermal matrix, the hair lifecycle may be shortened. It protects – red clover contains antioxidants. The Lash Response™ Complex contains an extract derived from red clover, a botanical that is known to contain antioxidants that neutralize free radicals. Free radicals are known to shorten the hair lifecycle.